When someone is injured in an accident, the first priority is usually to ensure that they have access to the medical treatment they need, at the earliest opportunity, to give them the best chance of recovery. We are fortunate in the UK to have the benefit of the NHS, providing free healthcare to those in need, regardless of their financial position. Whilst this is of course an invaluable service, the system is by no means perfect. The injured person may have to contend with formal referrals and waiting lists, which may delay the injured person receiving the vital treatment they need at the time when it may be most beneficial. As a personal injury solicitor, I represent individuals who have suffered injury through the wrongdoing of another. In such circumstances, the costs of any treatment needed may be recovered as part of a personal injury claim. This means that the injured person may be able to recover the costs of having their treatment on a private basis, allowing them to start their rehabilitation sooner, despite the same services being available free of charge on the NHS. It is important that the injured person can receive the right treatment following their injury to give them the best chance of recovery. I intend to set out the principles surrounding the injured person’s right to choose between NHS and private treatment and how this is dealt with in a personal injury claim. When considering what treatment a person needs, and whether that should be provided by the NHS or on a private basis, it is worth considering how a personal injury claim is calculated. A personal injury claim is designed to put the injured person in the position they would have been in had the accident not have happened. Unfortunately, it is not possible to take away the injury and the hurt caused by an accident and so the only way that the courts can deal with such matters is with compensation. This refers to the compensation that the individual will receive for the injury itself. This sum is calculated with reference to set guidelines and cases that have previously been decided in the courts. This sum will take account of the injured persons pain, suffering and loss of amenity. In cases where the individual has suffered significant injury, there may also be future costs which will need to be considered as part of the personal injury claim. The individual may require future treatment such as physiotherapy or surgery, or they may require ongoing care and assistance as a result of their injuries. It is important that the personal injury claim includes these costs to ensure that the injured person has access to whatever services they need in the future. The law recognises that an individual, who has suffered injury through the wrongdoing of another, has the right to choose to have their treatment on a private basis despite the availability of NHS services. This means that where the individual requires treatment or care as a result of their injury, they can recover the costs of this from the wrongdoer as part of a personal injury claim on a private basis, despite such services being available free of charge on the NHS. In a case where an individual has significant ongoing difficulties, this can make a huge difference to the value of the personal injury claim. Perhaps more importantly, being able to choose private treatment provides the injured person with certainty and flexibility. 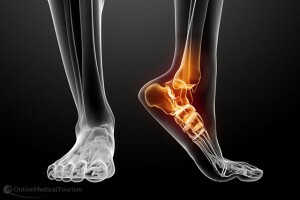 I will use the example of an individual, who suffered a severe injury to their ankle, which they have been advised will require fusion surgery in the future due to the degenerative nature of the injury. Where the injured person is relying on NHS Services, they will be reliant upon their symptoms being severe enough that their GP feels able to refer them for this surgery. The injured person will have a limited choice (if any) of where the procedure is undertaken and by which surgeon. The waiting lists for such a procedure are likely to be long. Following the surgery, the injured person may require physiotherapy to strengthen the muscles in their leg and foot to enable them to walk. Again, there may be a waiting list for this and only a certain number of sessions available. Where a personal injury claim provides for the cost of this future surgery, the individual can choose when to have the procedure, which hospital to attend and even which surgeon. We live busy lives and so this choice means that the injured person has a greater input as to when and how the surgery is undertaken. Furthermore, every recovery is different. Having surgery and follow up rehabilitation means that the therapy can be catered to the individuals needs post surgery. In order to recover any cost or expense as part of a personal injury claim, it must be reasonable. In a personal injury claim, what is deemed to be reasonable will usually be what is recommended by medical experts who have examined the injured person and prepared a report. If a cost or expense (such as physiotherapy) is recommended by an expert, then it will likely be a reasonable expense. Alternatively, if the expert does not recommend something then it is unlikely that a court would consider this to be reasonable. The courts have held that where it is reasonable for an injured person to incur an expense, they are entitled to do so on a private basis. When an injured person brings a personal injury claim, they are obliged to mitigate their losses. This means that they should try to minimise their losses, where possible. For example, if you are unable to carry out your existing job as a result of your injuries, but you may be able to carry out some other form of work, it is important that you do so to show that you are trying to reduce your losses. If you do not, there is a risk that you will not recover all of your lost earnings from the wrongdoer. Does the duty to mitigate your losses affect your ability to choose private treatment over NHS treatment? Surely, the duty to reduce your losses to a minimum would mean that you should choose NHS services where available, so as to reduce the amount claimed? No, the law is clear. If an expense is reasonable then the injured person is not restricted to the NHS. Having said this, we are fortunate in this county to have the benefit of the NHS. There will often be circumstances where it is entirely appropriate for the injured person to have their treatment on the NHS, and in such circumstances the cost will not be included in the claim. When advising my clients in respect of their personal injury claims, my aim is to ensure that they receive the best treatment at the right time, whether that is on the NHS or on a private basis. After all, it is the injured person’s right to choose. If you or a loved one have suffered injury as a result of someone else’s negligence, contact us free of charge and in confidence on 020 3813 5492 or at PersonalInjury@boltburdonkemp.co.uk for specialist legal advice. Alternatively, you can complete this form and one of the solicitors in the Personal Injury team will contact you. You can find out more about the Accident Claim team.